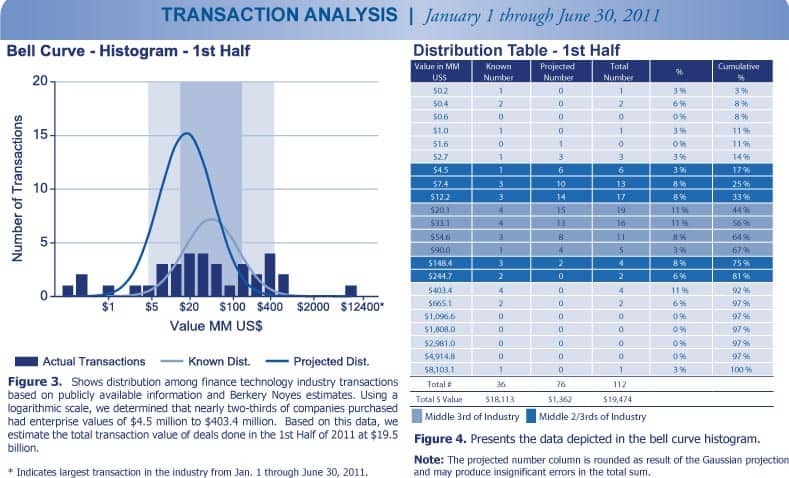 1st Half 2011 Finance Industry Trends - Berkery, Noyes & Co., LLC. 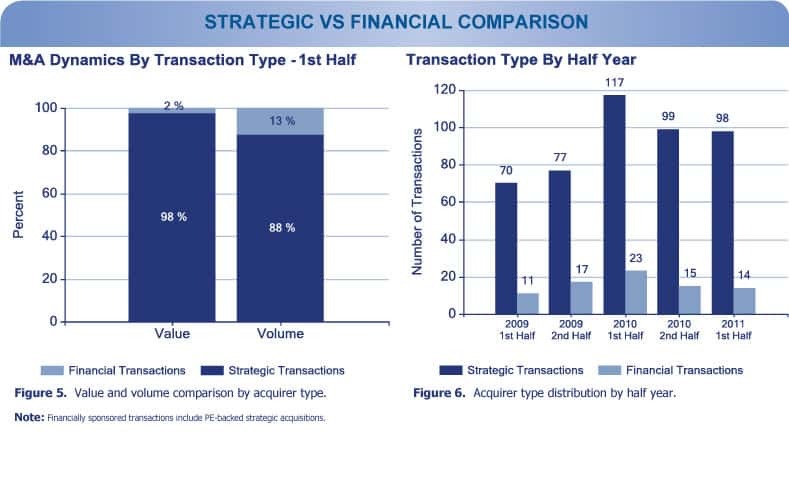 The largest transaction in 1st Half 2011 was Deutsche Börse Group’s announced merger with NYSE Euronext for $12.4 billion. 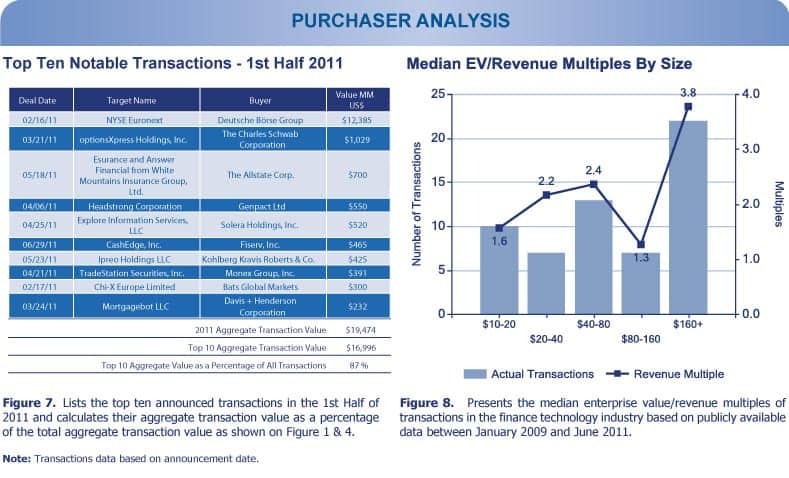 Fiserv, Inc. was the most active acquirer in 1st Half 2011, with four purchases: CashEdge, Inc., Credit Union On-Line, Inc., Mobile Commerce Ltd, and Maverick Network Solutions. 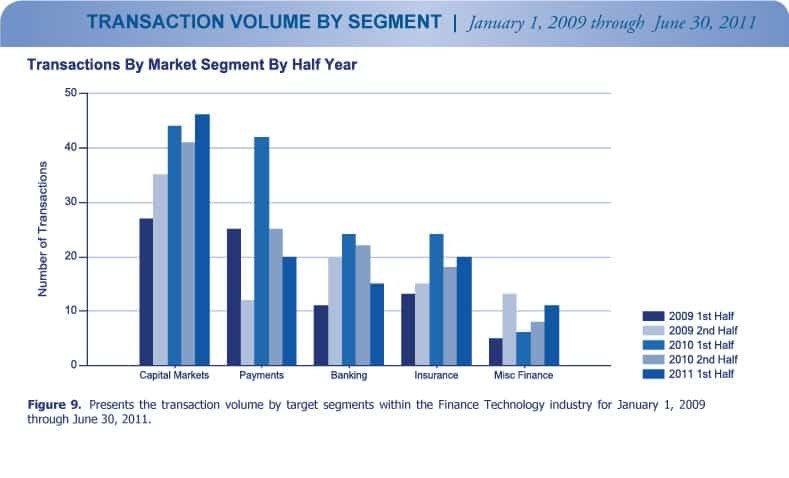 Total transaction volume in 1st Half 2011 remained largely unchanged from 2nd Half 2010, losing only two transactions, from 114 in 2nd Half 2010 to 112 this year. 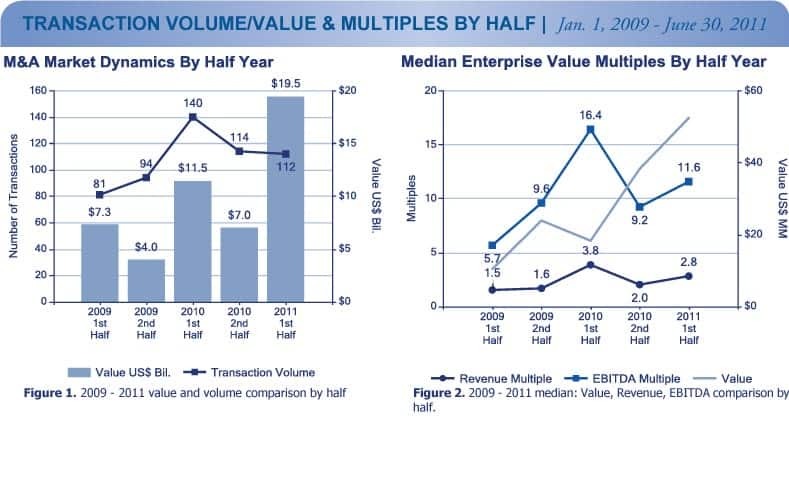 Total transaction value in 1st Half 2011 increased by 179 percent over 2nd Half 2010, from $7.0 billion in 2nd Half 2010 to $19.5 billion this year. This large increase can be attributed to the aforementioned Deutsche Borse and NYSE Euronext merger. 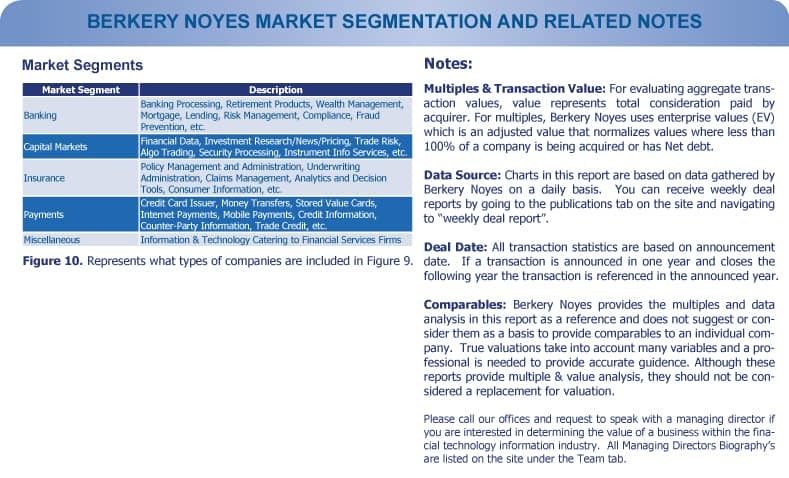 Berkery Noyes tracked 541 transactions between 2009 and 1st Half 2011, of which 215 disclosed financial terms, and calculated the aggregate transaction value to be $44.8 billion. Based on known transaction values, we project the value of the 326 undisclosed transactions to be $4 billion, totalling $48.8 billion worth of transactions tracked over the past two and a half years. Morningstar, Inc. was the most active acquirer in the two and a half years covered in this report, making nine transactions: The Annuity Intelligence Report from Advanced Sales & Marketing Corporation, Seeds Finance SA, Morningstar Danmark A/S, Old Broad Street Research, Aegis Equities Research, Realpoint, LLC, Logical Information Machines, Inc., Andex Associates, Inc. and Computerized Portfolio Management Services, Inc.
Out of 541 transactions tracked by Berkery Noyes between 2009 and First Half 2011 we found that the 80 financially sponsored transactions accounted for 15 percent of the total transactions, yet they totalled $11.8 billion, representing 24 percent of total aggregate transaction value over the past two and a half years.